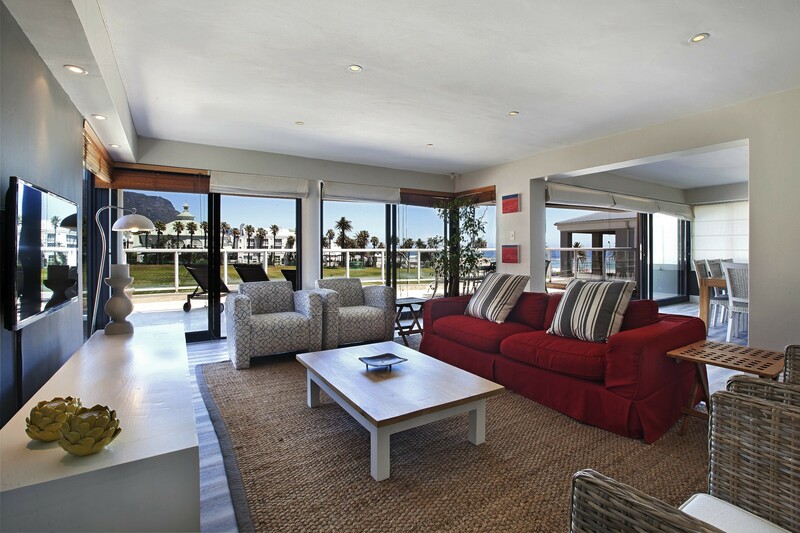 This Villa is perfect for a family getaway. 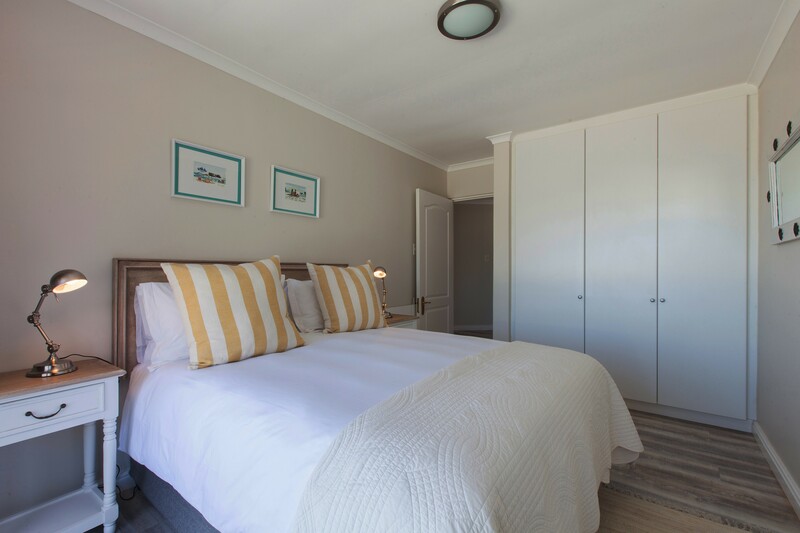 It’s a short stroll to Camps Bay beach, yet set away from the bustle of the boulevard of café’s, restaurants and wine bars that line the famous Camps Bay strip. 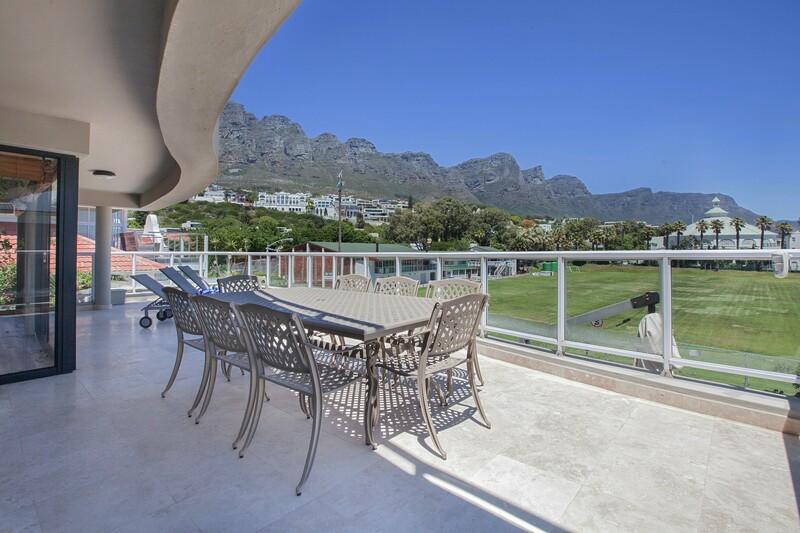 Want to have your morning cup of coffee on the deck and look at the mountains or possibly the sea? Then keep reading! 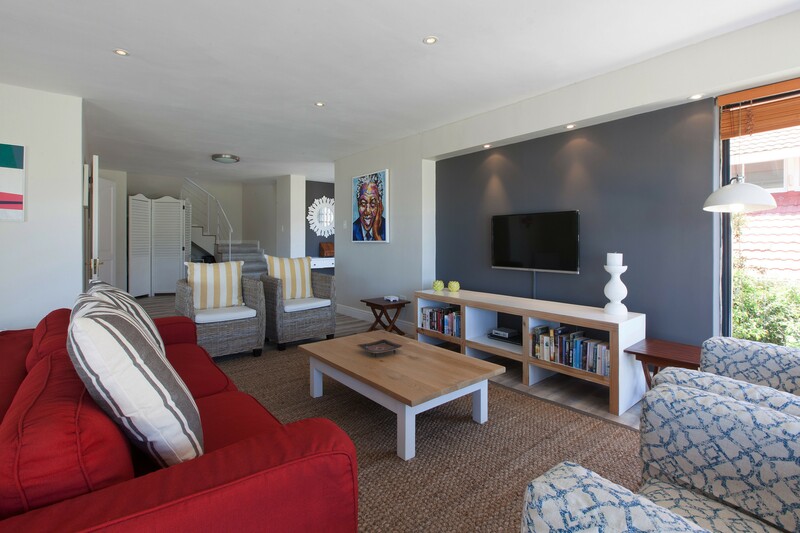 Both levels of the villa are spacious and provide outside areas where there is enough room for everyone to enjoy their space yet still feel like you are close by. 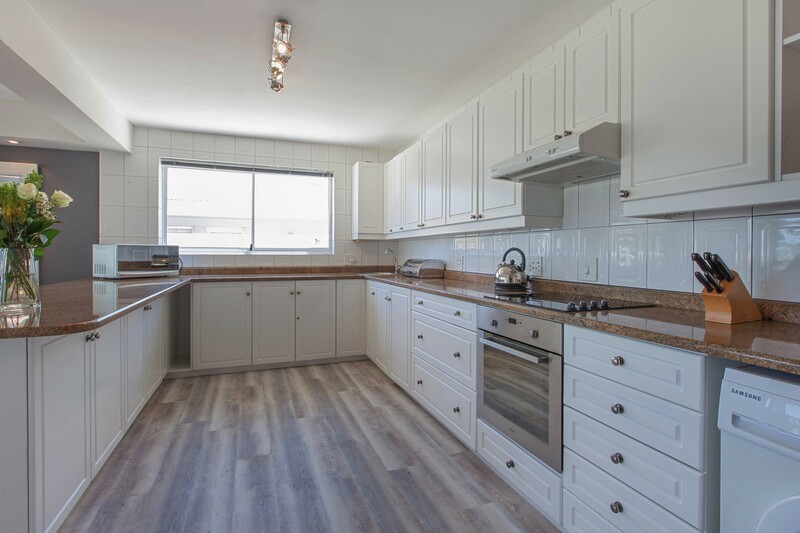 Open plan interiors are the first floor entertainment and dining area that lead to a large kitchen equipped with appliances for laundry and dishwashing. The most prominent feature of this expansive space is the wrap around balcony leading off from the first and second floors. 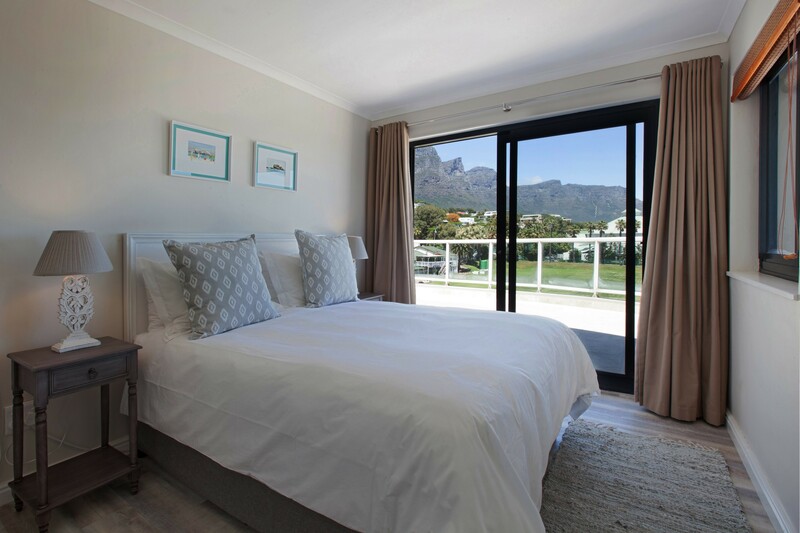 As you step outside there are views of mountain and beach and ample space to chill and just absorb the holiday ambience that Camps Bay invites. 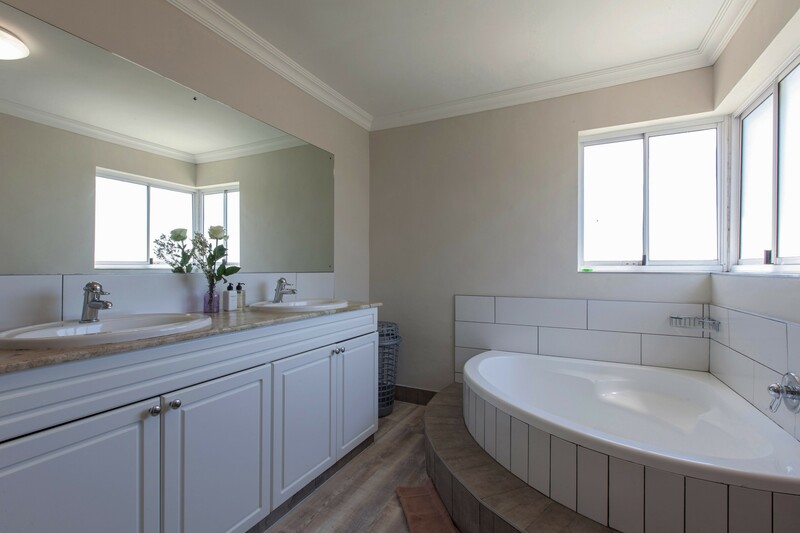 There are four bedrooms with built-in cupboards and the second floor is where you can enjoy the comforts of relaxation. 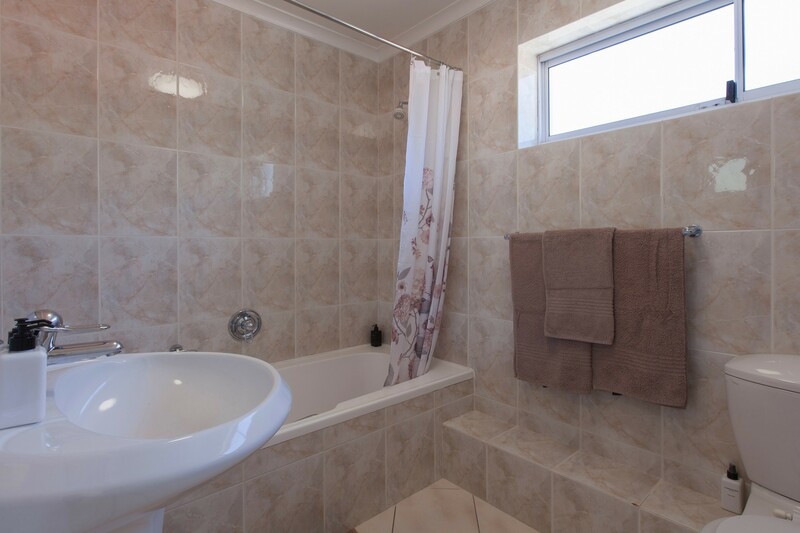 There are two en-suite bathrooms and a third standalone bathroom with a bath and shower. It is light and spacious living and perfect for days spent between the beaches. 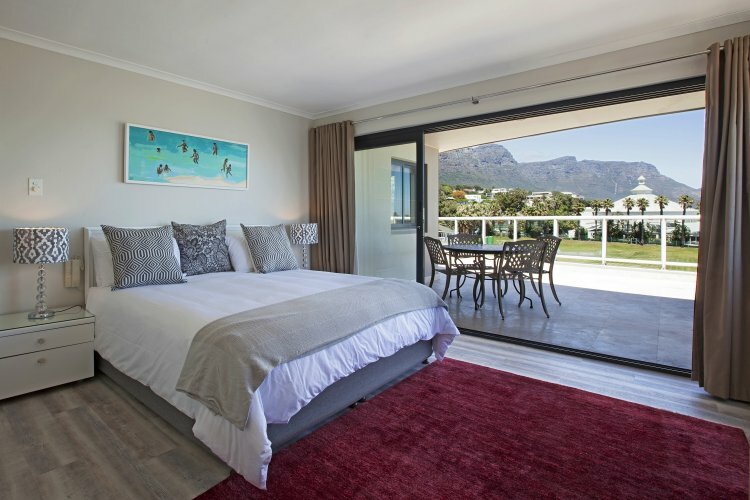 You don’t have to leave Camps Bay as everything is a stroll away, but equally all of Cape Town’s top sights and attractions are a short drive away. Please note the garage door is lower than normal and large vehicles will not fit in the driveway. Garage can fit two cars and for any large vehicles there is street parking available.